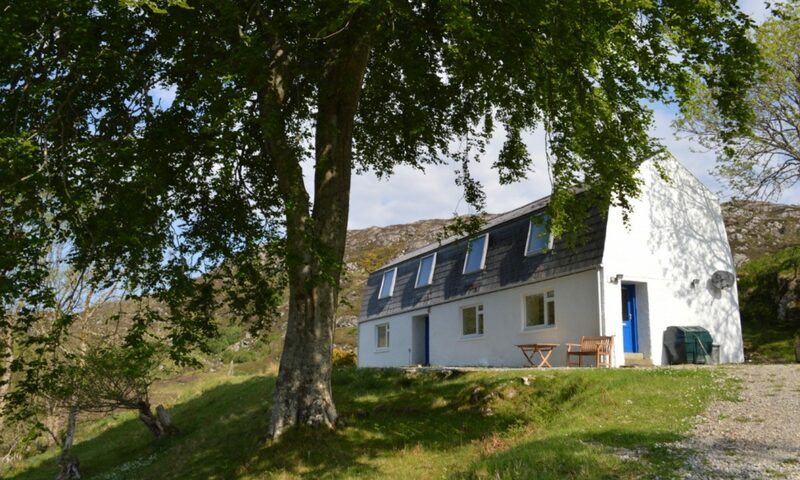 Head north on the A9 from Inverness and then take the A835 to Ullapool. From Ullapool take the A835 and A837 to Lochinver. Just before Lochinver turn right onto the B869, signposted Stoer and Drumbeg. After about a mile there is a small bridge. 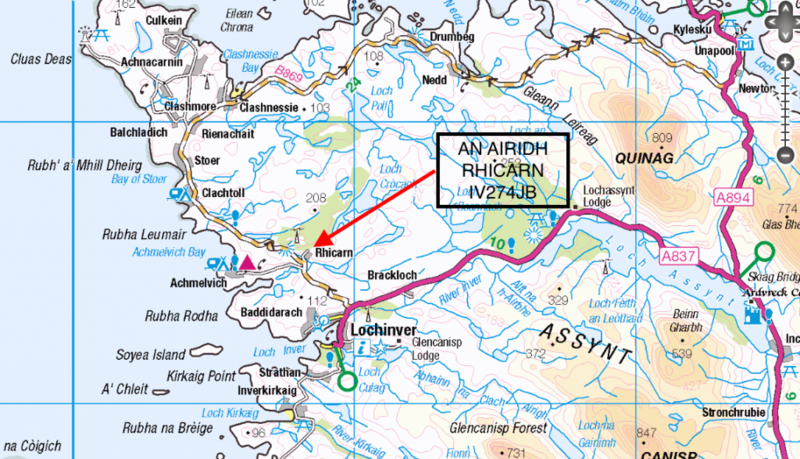 Do not turn left to Achmelvich here, but keep on the main road to the right. An Airidh is on the right less than a 1/4 mile after the bridge. If you go up a long, long hill you have missed the house! If you are using a satnav, do not enter the postcode as this will probably take you to the wrong road. Use the latitude (58.174) and longitude (-5.263) instead. The area is not well served by public transport – but that is one of its beauties! You will really feel like you have got away from it all with no traffic noise, pollution or hustle and bustle. 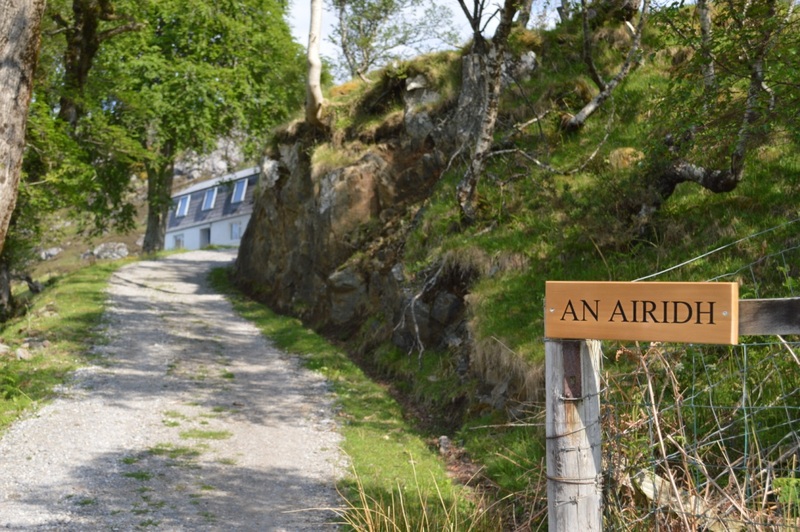 The nearest international airports to Lochinver are Inverness Airport (100 miles), Edinburgh Airport (244 miles) and Glasgow International Airport (247 miles). There are flights from Inverness to destinations in the UK, Germany and Spain. From Glasgow and Edinburgh there are flights to many airports around the world. The nearest stations are Garve on the line to Kyle of Lochalsh, and Lairg on the line to Wick. The most useful railway station is probably Inverness (93 miles away). From there you can continue your journey by coach or car. There are trains between Inverness and London, Aberdeen, Edinburgh, Glasgow, Kyle of Lochalsh, Thurso and Wick. See ScotRail for more information and booking. There is a bus from Ullapool to Lochinver (during school terms only), and a service from Inverness (summer only). Ullapool is served by a bus service which runs from Inverness to Ullapool. See Scottish Citylink for details. 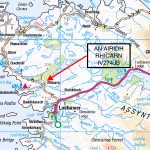 For more travel information, see How to get to Lochinver.